The Shimano MT50 is the mountain bike specific option in the Shimano Click'r line, offering trail-ready strength and easy engagement for those who are just getting used to riding clipped in. THE MT50 utilizes Shimano's Click'R Design, a technology purpose-built to make clipping in and out quick and simple. 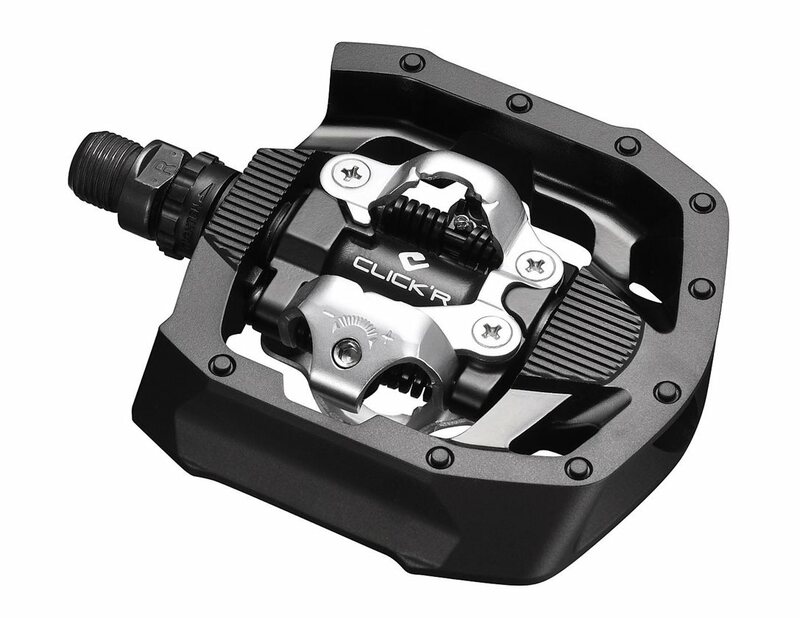 The Click'R design uses a light, easy-to-engage cleat spring that is strong enough to keep your foot attached firmly but light enough that you can remove your foot at a moment's notice. Just a quick twist of the foot and you're firmly planted on the ground. Integrated reflectors on both sides of the pedal ensure low-light visibility and the wide platform surround the pedal body provides plenty of support. Perfect for the recreational mountain biker, the Shimano MT50 is your first step to taking your moutain bike performance to the next level. Great first spd pedals, work great with the multi release. Work way better the clips i have been using for years. Should done this a long time ago. Great product. I decided to replace my PD424 pedals with these ones. The pedals a re solid and seems like they can withhold hitting rocks and roots. Haven't happen to me yet, but I'm sure it will soon. I purchased these pedals because I prefer more stable feet and it is why it is. As a long time roadie I was hesitant to switch from flat pedals to clipless on my mountain bike but these pedals made the transition too easy. They are so adjustable you can tighten as you gain confidence but still release with ease. The double side is a must. Another great Shimano product! Super easy release, great for anyone learning to clip in and out or anyone who just wants very quick exits. Why are these considered "for beginners?"